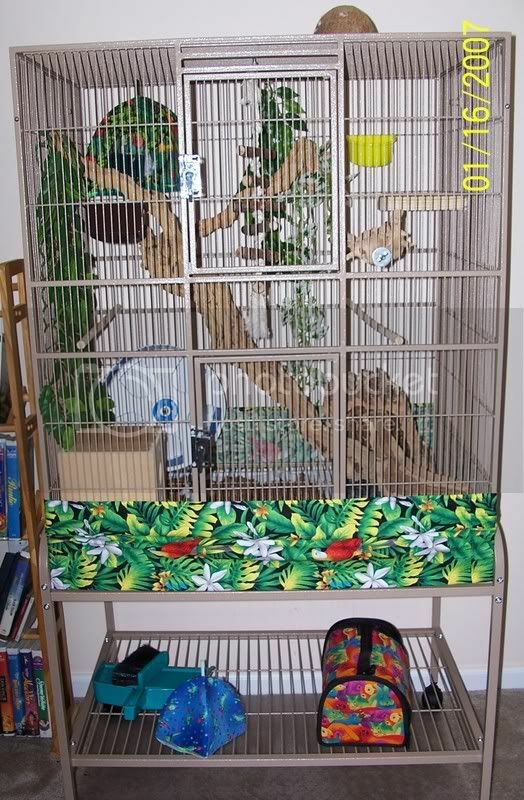 Post pictures of your cages here. Last edited by Joan on Mon Apr 03, 2006 9:48 pm, edited 1 time in total. 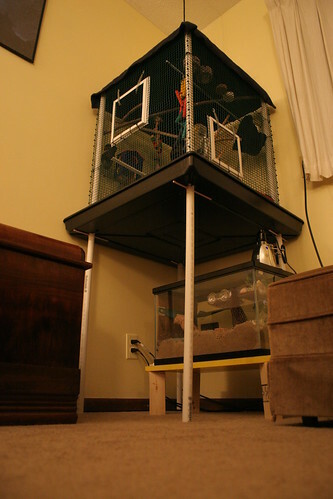 Here are some pictures of the cage my hubby built, and I accesorized. for little miss Pippa. Note the "Go Back Doors" in the main doors. Well, first of all I have to decide if I want to put myself through it again. Remaking the same thing isn't always as much fun as making something new. 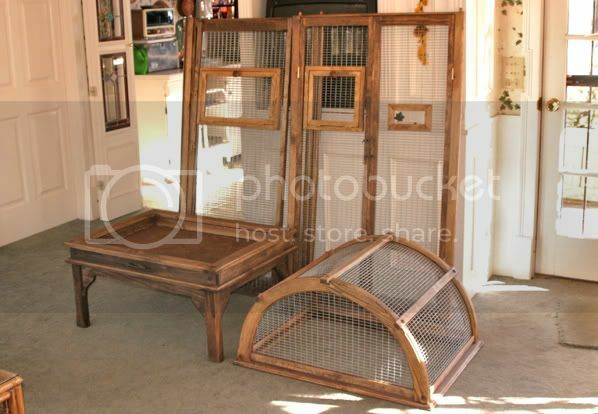 That being said, remaking the cage would let me correct the errors I made with the first one - so I guess its a wash if I were to make another cage. Cost? Well, I had about $250.00 in material costs, and it took roughly 70 - 80 hours of my time. In any event, shipping may be a problem. 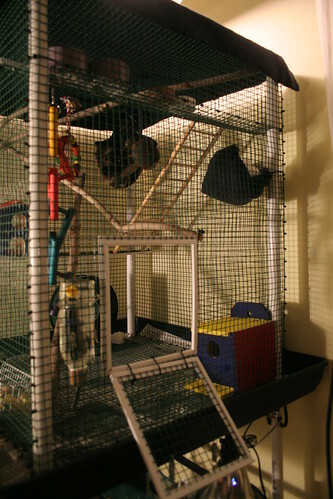 My cage breaks down very easily into three sections - top, middle, and bottom. The top and bottom sections are rigid and the middle section comes apart so the four sides can be shipped flat and bundled together. 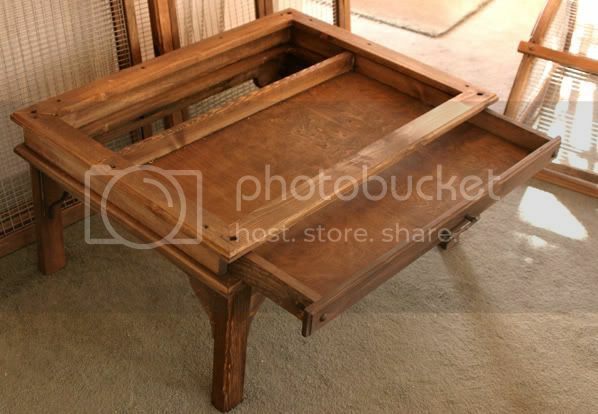 It all fits together with 8 wooden pegs - no screws or "assembly" involved. But the sections are large and getting cardboard boxes large enough might be a problem. I know the local UPS store has some very large boxes available. I'll check and see what they have. Otherwise, you may want to drive to Chattanooga and pick it up - assuming you have an SUV, van or pickup truck. If you truly are intested, call me at 423-886-4568 and we can discuss it. One more thing. 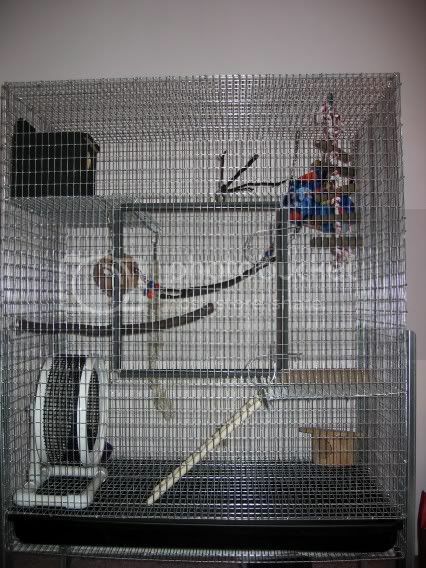 Recalling a comment Joan made about the cage, I have decided to include an additional drawer under the existing drawer so you can store flyer accessories and other stuff. 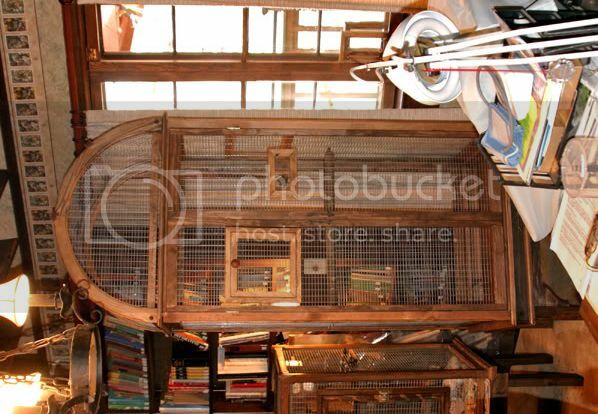 The overall size of the cage will be 7' 63/4" high, 33 3/4" wide and 24 1/2" deep. 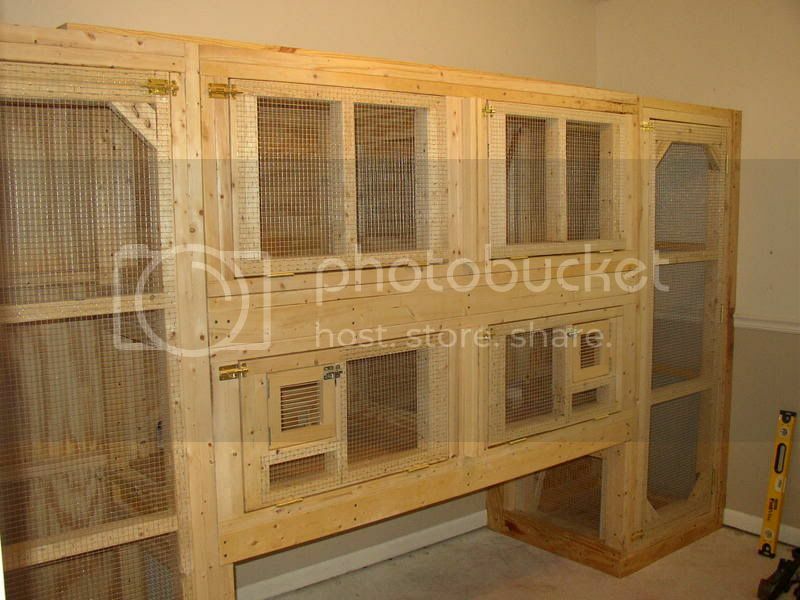 Here are pictures of Snap's cage that my Dad and I built. 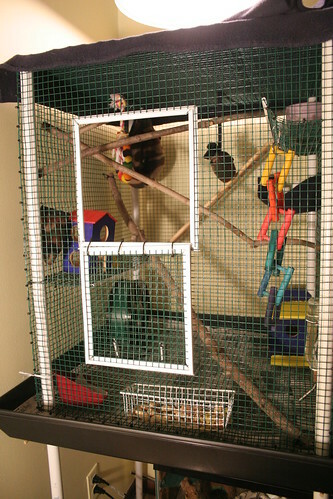 Here's a picture of Cashew's cage. 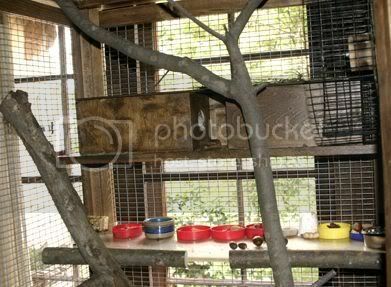 My husband built this duplex for Jimmy and Barnie. 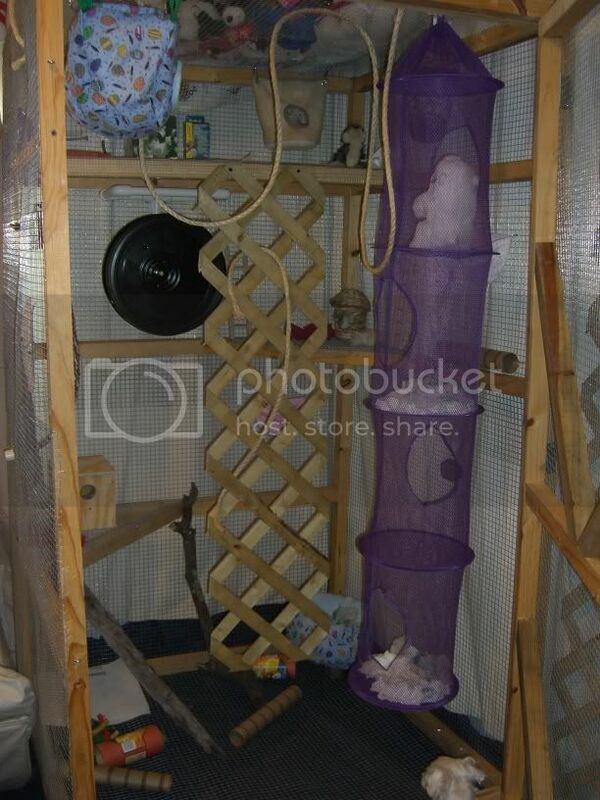 It has 8 doors for ease in cleaning/decorating/squirrel returning, and one slide out "gate" divider in the center of each level. 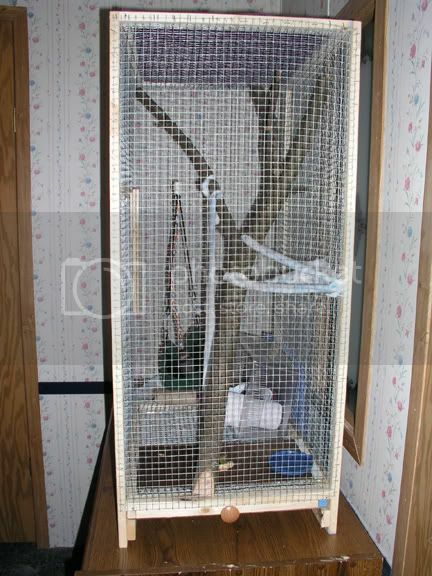 If and when Jimmy and Barnie can live together, we'll simply remove the dividers and it will be one big cage. 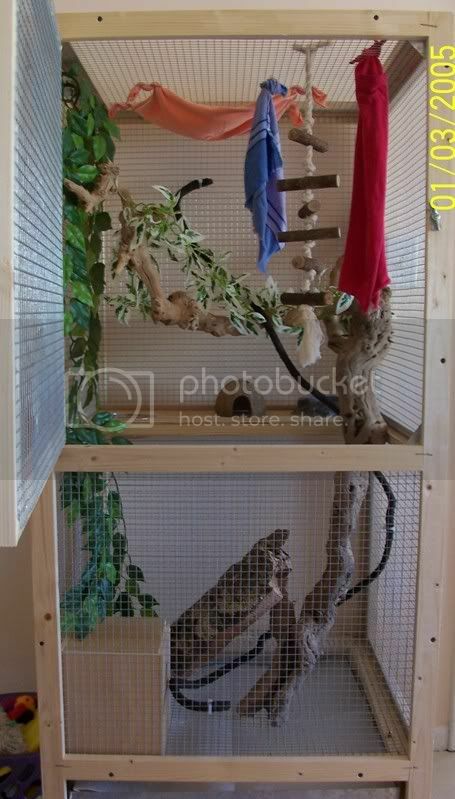 My husband's favorite part of his design is that it's all "modular", so we can easily take it apart into 4 units to move it, and he can also add another level across the top. 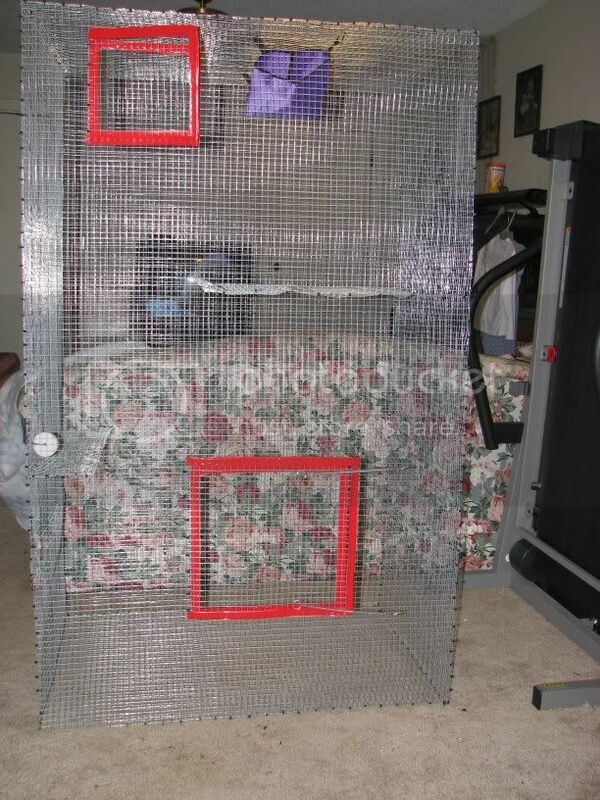 Wow that is one special built cage. 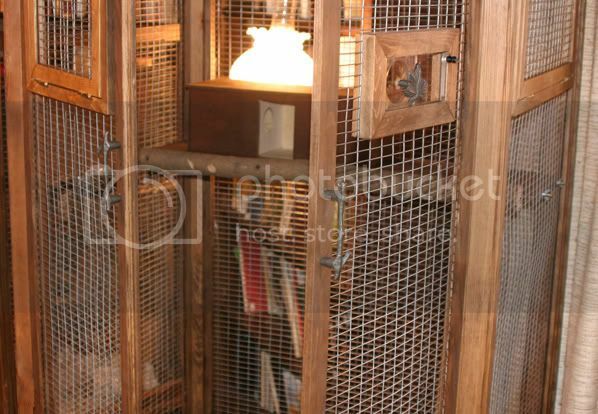 -we used shelving bars as structure and support, as well as something to wire the mesh to. These were only about $10 at the local hardware store. 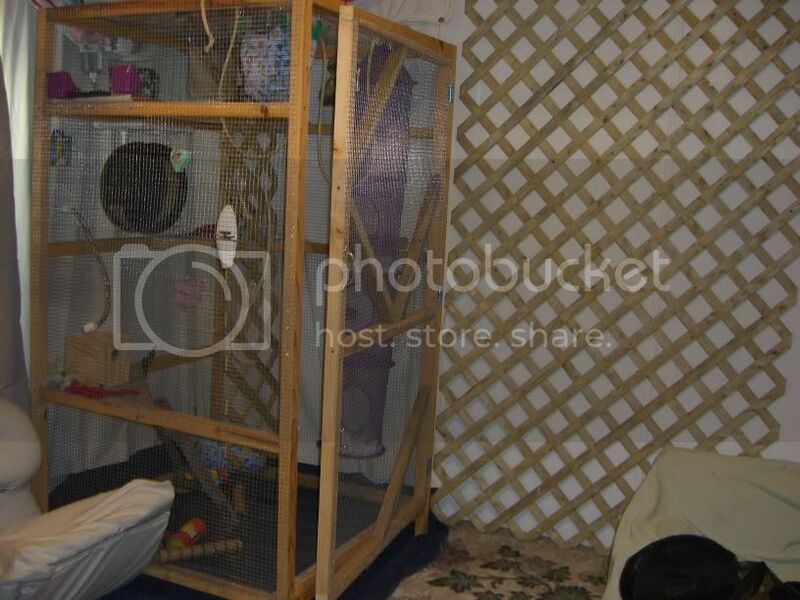 -wire chicken mesh- total about $20, plus picture hanging wire was the rest of it. 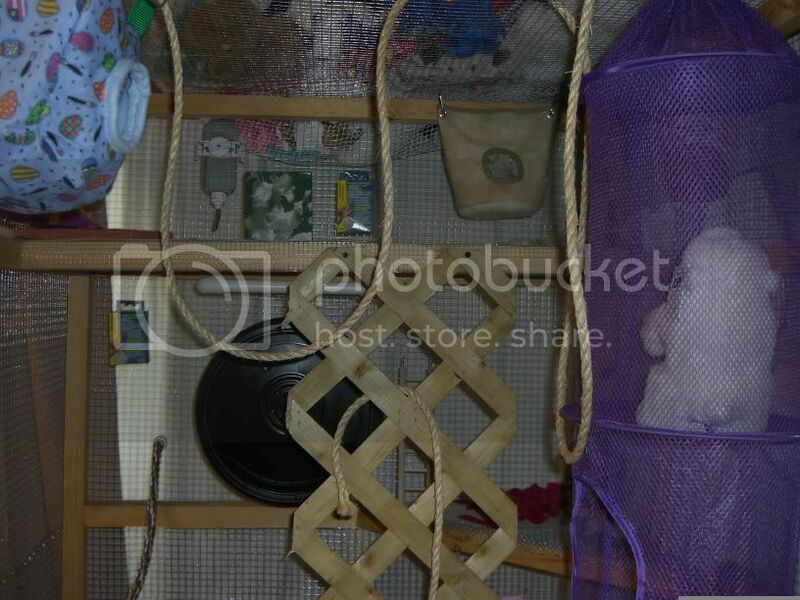 We used the picture hanging wire to "sew" it all together! 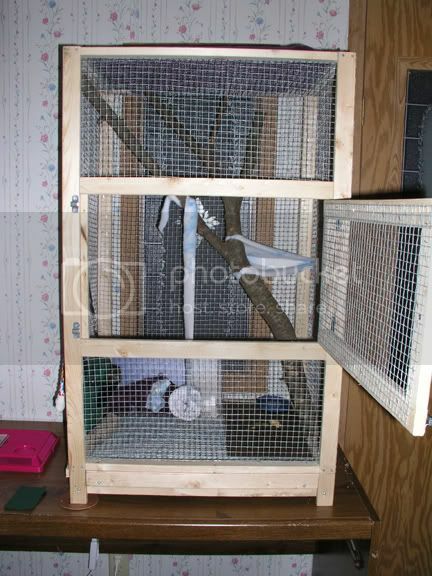 -topsoil dirt (cost about $1 at Lowe's) fills the bottom of her cage. 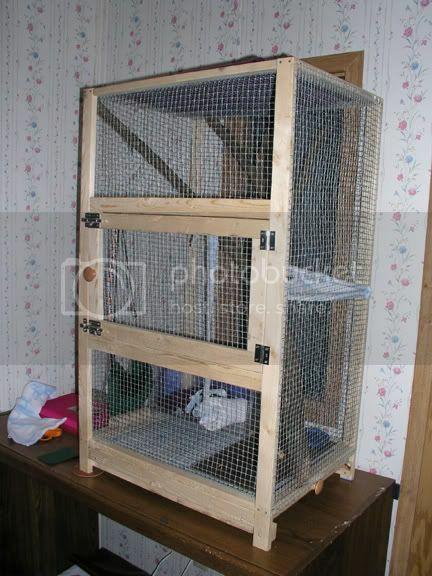 This is great as it allows her to naturally dig to stash seeds, and also it keeps smells at bay. We have a live plant in the middle, and all of Momo's waste becomes a natural fertilizer for the plant. 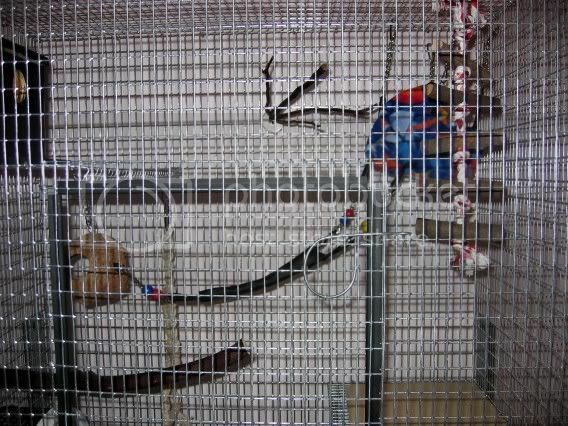 No more cleaning out the cage every three days! Total cost? 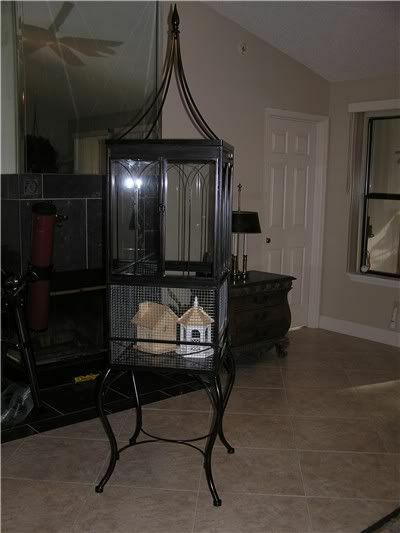 Under $50, and a little 'sweat equity' for an awesome home! -PS- as a fix for the "peeing through the wires out onto the floor" issue, we purchased a car-bed liner designed for dogs. 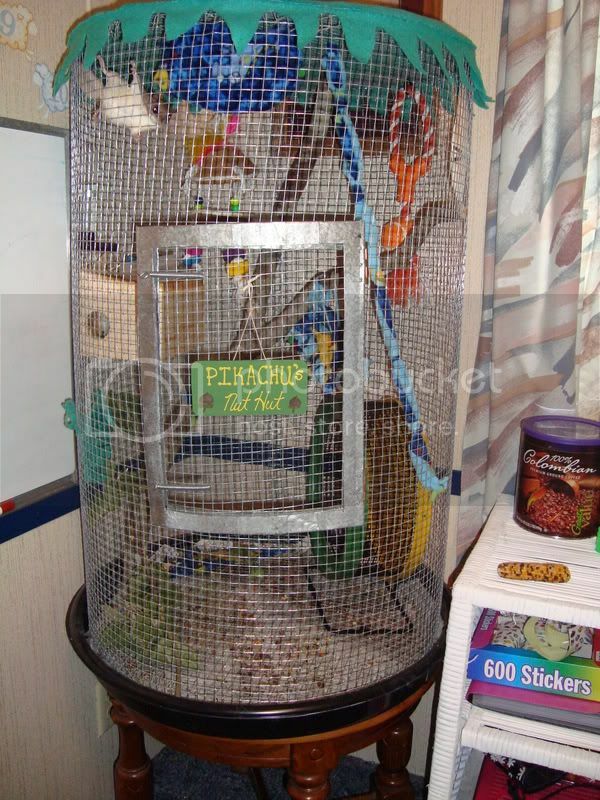 It is specifically made for animal messes, and it is machine washable. When it gets too dirty, we can just throw it in the wash! It catches all her pee. It also has a pleasant orange citrus smell to it.